Rating: 4.8/5. From 38 votes. 2. 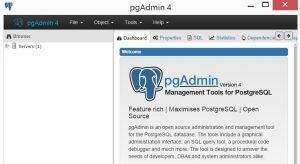 March 2017 at 22:26 - Software engineering (Tags: pgAdmin, PostgreSQL, QT, Windows). Both comments and pings are currently closed. thank you … you have just saved my life !!! I’m glad that the article helped you. Thank you! This really worked… Initially i accidentally saved it with a .txt extension and it didn’t work. Once I realized my mistake and rebooted PGAdmin it worked like a charm. @christopherbarriteau:disqus Thank you very much for pointing out the problem with .txt. I’ve added info to the article. Thank you for sharing this….I’m in the last step to get it done. When I was trying to save the notepad file in the folder:c:Program FilesPostgreSQL9.6pgAdmin 4bin, it gave me the message of “you don’t have permission to save file in this folder, contact admin to get the permission”. Is there any way to fix this issue? Thank you! Hi Lily. It is necessary to start PowerShell or Notepad as Administrator. You can achieve this by clicking Windows Start menu and typing: notepad (or powershell). 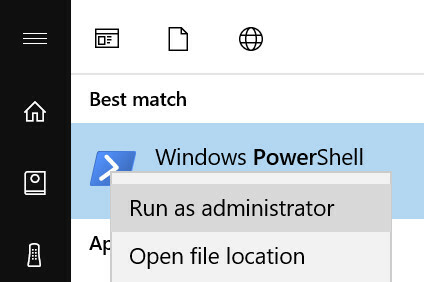 Then right-click and select the option: Run as Administrator. I’ll update the article with screenshot. Thank you for your feedback. Got it!! Thank you for clarification, that’s really helpful! Thank you for your feedback. The article was updated. I admit that it is not very obvious in Windows and many people have a problem with it.